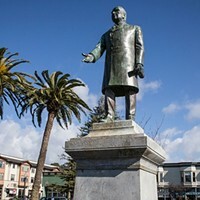 Photo by Sam Armanino McKinley statue on the Arcata Plaza. Last week, an Arcata business leader worried aloud about Humboldt State University's budget crunch as we sat in his office. He knew that if HSU's annual payroll and student spending disappeared from Arcata's economy, it would be a $100-million dollar hit. The good news is that if the future of Arcata's economy depends solely on whether HSU can figure out how to bring its budget into line, Arcata merchants have reason to be optimistic. The budget problems are difficult but manageable. But there are other issues at work in this relationship. HSU students increasingly reflect the minority-majority diversity of California. Even as HSU is becoming more diverse and learning to be more inclusive, Arcata remains about 80 percent white, and a few folks are using dog-whistle politics to send the message they want it to stay that way. These dog-whistle messages are inaudible to the casual listener or reader, but the veiled verbiage is clear to both the target groups and those targeting them. Consequently, even as Arcata takes pride in being a sanctuary city, residents from many cultures and lifestyles make it clear they do not feel welcome or safe while in Arcata. 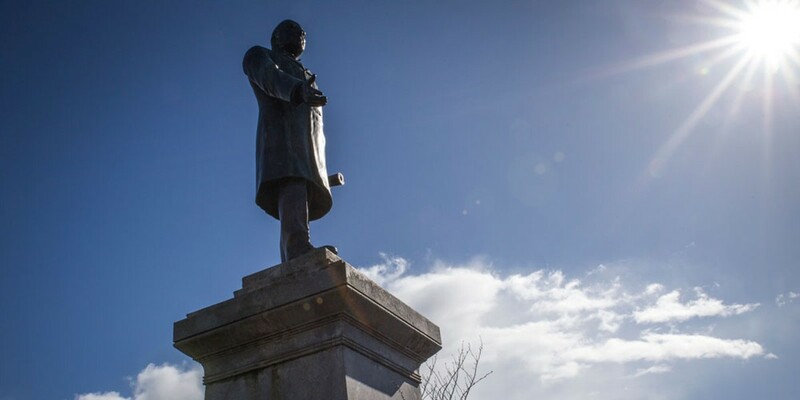 A couple of days after the business leader worried aloud about the HSU budget, an op-ed piece in Arcata's newspaper used some dog-whistle phrases about residents protesting the McKinley statue on the Arcata plaza. The op-ed went on to claim the decision on the statue rightfully belonged only to those who "have a genuine stake in the community" by virtue of home ownership or having a family here. Apparently, no right to be heard exists for newcomers, students and Native protesters whose ancestors lived here a thousand years before the Gold Rush brought the real "outsiders" here. Telling students — and Native citizens from our area — that they are "outsiders" or "a mob" when they show up as taxpayers and legal residents to express outrage that the statue decision had never been put to a vote — despite 40 years of public debate — sends a clear message. The 40 years of debate has never been about President McKinley's personal history. It has been about whether to embrace or reject the social and cultural values of Humboldt County's past. McKinley was merely an icon for those values. For 40 years, some residents saw the statue as a tacit wink of approval to that past. 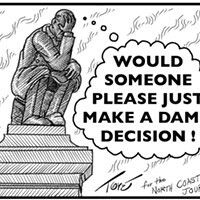 Those who want it removed want Arcata — and Humboldt County — to choose a new path for its future by rejecting the values of that sordid past. If dog-whistle messages can still make it into the local newspaper in 2018 without those messages raising any red flags for local editors, if a public debate about a statue that is an icon of past racial injustice can drag on for 40 years without resolution and if longtime local residents indulge all this as acceptable and normal and even healthy, then the future is far from clear. California is going to continue to grow more diverse. If the intransigent attitudes of some in Arcata make it difficult for HSU to attract and retain this increasingly diverse population, if HSU is not allowed to embrace and celebrate that diversity and educate California's future leaders, then $100-million-dollar questions arise about HSU's future. 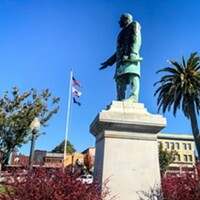 If Arcata wants to become a true sanctuary city where the future feels welcome, start by ending the 40-year-long statue debate, silence the dog whistles and let the courageous decision by this city council stand. Peter Fretwell is a self-professed newcomer to the North Coast. He works as general manager of KHSU, but is quick to point out the opinions expressed are strictly his own.